Uncounted centuries ago, an unknown race from beyond our galaxy created a series of interstellar gates--shortcuts across our universe-and then disappeared, leaving behind no clues to their fate, or the operation of their system. Twice before, the Enterprise has used the system to traverse the galaxy, and returned each time no wiser to the gates' operation. Now it is imperative that they find out. For the gates are breaking down, taking the very stars in the sky with them. 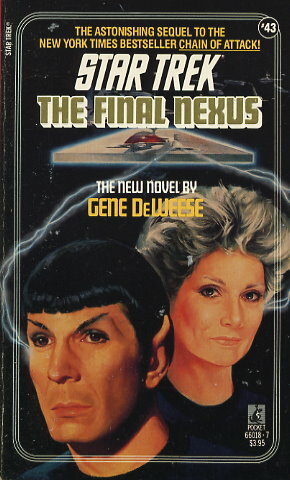 The fate of the galaxy rests in the hands of the Enterprise crew, and their ability to communicate not only with creatures from another world--but from another universe as well.